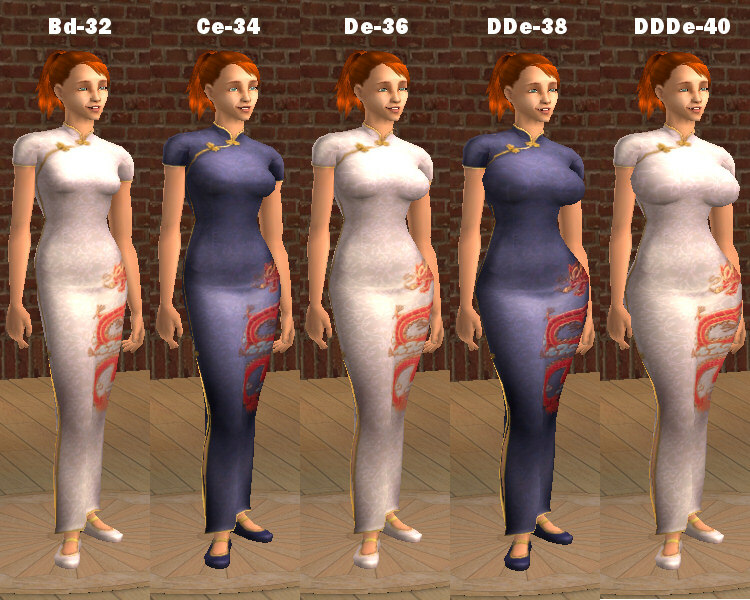 These are the two Maxis Chinese Dresses in all the Warlokk Bodyshape sizes, from 34A-32 to 36DDDe-40. Not all sizes are shown. 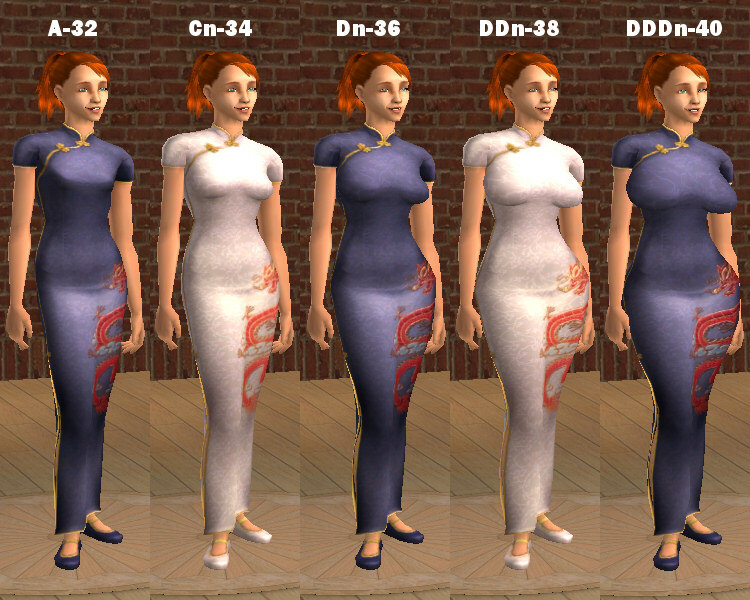 This update features updates meshes to include a preg morph. These meshes use the same IDs as Warlokk's originals, so you will want to overwrite them. Outfits are formal and work for adults and young adults. 45 Size combinations = 90 outfits. With the 45 meshes, that's a total of 135 files included. Same as the original maxis meshes.